For more than 35 years, Micron Technology’s talented teams of scientists, engineers, and visionaries have have created and cultivated technologies that fuel innovation and growth in new markets. As a global manufacturer and marketer of advanced memory and semiconductor technologies, Micron offers a broad portfolio of devices, including DRAM, SDRAM, flash memory, SSD and CMOS image sensing chips. Today, many of their DRAM and Flash components are used in leading-edge computing, consumer, networking, automotive, industrial, embedded, and communications products, from computers, workstations, and servers to cell phones, wireless devices, digital cameras, and gaming systems. The only DRAM manufacturer operating in the United States, Micron has a strong patent portfolio that gives it a technological edge on some of its competitors. 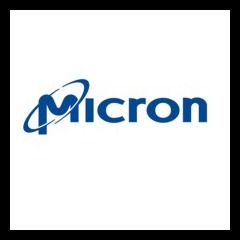 Leveraging an expansive global footprint and proven technology leadership, Micron intends to expand its product portfolio by developing new and innovative products to meet the changing requisites of its consumers. At AERI, we have a reputation as one of the most reliable and customer oriented independent electronic components distributors in the world. As a trusted supplier of high quality obsolete electronic components, one of our core strengths is access to hard-to-find Micron parts that are no longer in production. Click here for more information on Micron Technology electronics, or how to find AERI electronic components.